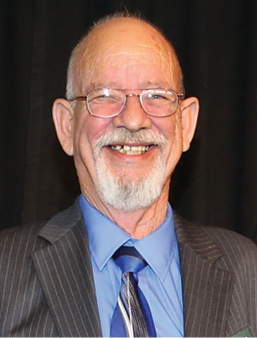 At Baylor's 2015 Service Recognition Ceremony in February, the university recognized many long-serving employees, three of whom have dedicated 45 years to Baylor. 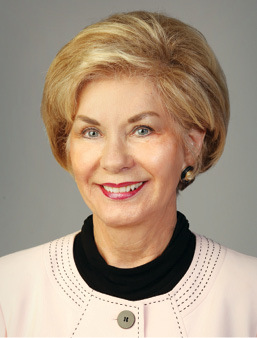 Tommye Lou Davis, BA ’66, MS ’68, has held numerous responsibilities at Baylor: Latin professor, associate dean, acting department chair, Kappa Kappa Gamma advisor, and now her current dual roles as vice president for constituent engagement and chief of staff to the president. Throughout her 45 years at Baylor (not including her time as a student), Davis has witnessed exponential growth at the University--and not just in size. "Since I began teaching, campus has doubled, student body size has doubled, and academic capacity has doubled," she says. "When I first started teaching, the campus was from 8th Street to 5th Street...What a beautiful campus we have. It's the beauty of the place aesthetically as well as the beautiful spirit that you find at Baylor that is unique." Jerry Milner's first day of work at Baylor was Oct. 8, 1969, inside the Marrs McLean and Sid Richardson building--which were at that time considered the larger buildings on campus. Later, "they moved me over to the new sciences building, which is huge," he laughs. "I've been there since they opened it, and I still get lost in there!" Milner is the Baylor Sciences Building's go-to repairman for electronic equipment, primarily those used for experiments in the BSB. 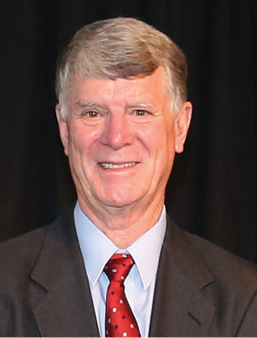 Dr. Tom Kelly, MA '64, has been a professor in Baylor's Hankamer School of Business since fall 1969. Today, he also serves as director of the Baylor Center for Business and Economic Research and graduate program director for the Department of Economics. When Kelly is asked what made him stay so long at Baylor, he doesn't hesitate. "Every day when you go to work, you enjoy it; you look forward to going to work," he says. "I don't know too many people out there that really have that attitude, that feeling of 'This is where I want to be.' That's why when people come to Baylor, they stay."